I follow over 600 accounts on Instagram. Almost all of them are beauty releated accounts. It was inevitable that my feed would be filled with pictures of the Colourpop Super Shock Shadows. With a huge shade range, there is something for everyone. I've stuck to only getting shimmer and metallic shades, and even then, there are almost too many to choose from. 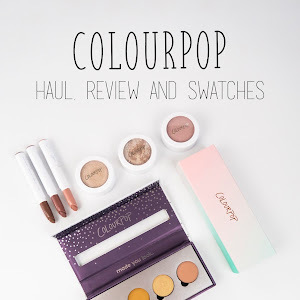 I've raved about Colourpop on my blog before, but they're my favourite affordable brand. And with products this gorgeous, can you blame me? When these first launched my feed was inundated with pictures of these cute little lip oils. Everyone was raving about how hydrating they were, how good they smelt and what a pretty wash of colour they left on the lips. I was sold. They were mine. 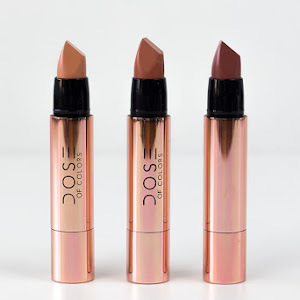 I love them and they have been some of my most used lip products this past year. Now I know I'm not the only one that fell in love at first double tap with the Glow Kits. Four generously sized pans for the price of one high end highlight? Colour coordinated to fit a theme with cute names and stunning marketing campaigns, I was a goner. Not to mention, the Gleam Glow Kit (please bring it back, ABH, please!) had a shade named Hard Candy, which is the name of the song I got the name Other Summers from. I can't resist anything that reminds me of a song or band I like, so it was mine. I'm actually almost proud of how long I resisted jumping on the Kylie Cosmetics band wagon. For months and months I was watching the people I follow receive, review and swatch them. When I actually got them, it was a total impulse buy, but I have no regrets. They're so pretty and they work well and they smell like dessert. I'm not in a rush to place another order, but I'm not going to rule it out either. So this is less of an Instagram Made Me Buy It item and more of an Instagram Made Me Pester My Boyfriend Until He Got Them For Me item, but let's include it anyway. I noticed these brushes starting to pop up as props in photos. They were just so pretty. I had just brought a house, so I wanted to save my money, which is where the whole 'show someone what you want enough times that they buy it so they don't have to look at them anymore' thing came into play. Thanks Alex, for making my brush dreams come true. And thanks to all of the Instagram accounts I follow for getting me obsessed with them. This one is a little different. I didn't fall in love with the look of the palette. In fact, I was slightly annoyed by it. Usually I'm all for cute makeup packaging, but this was right on the borderline of being too cute. But then the close up shots of the shades started popping up on my feed. Almond Truffle, Cashew Chew and Pecan Praline were so different to any of the other shadows in my collection. So I picked it up, because I have no self control and will purchase a whole palette for three shades. Oh well! 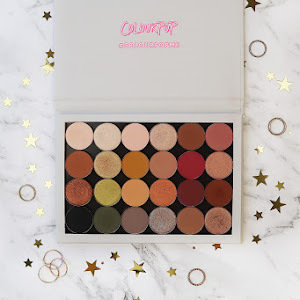 Is there any makeup that you added to your collection because you fell in love with them on IG? 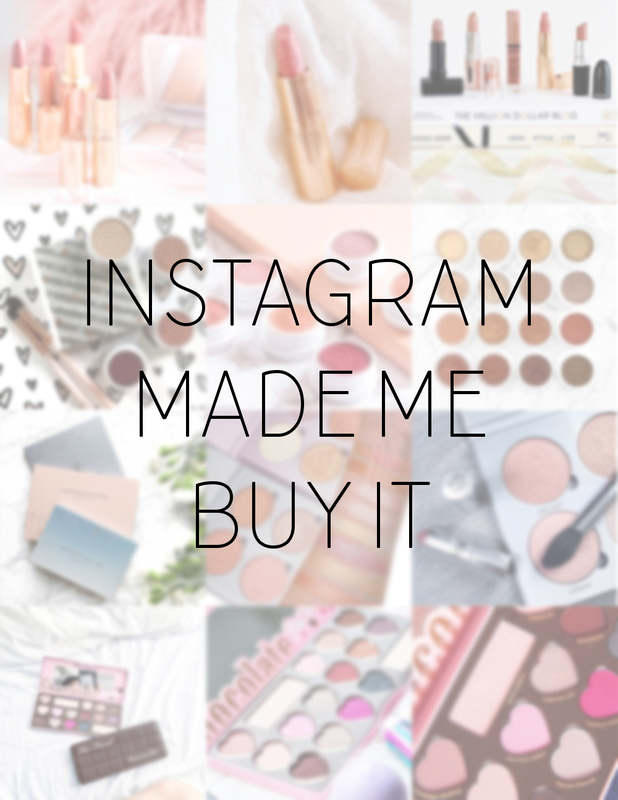 Omg, I have so many things that instagram made me buy. This is such a heart warming post. I love it. I am exactly the same! I buy so much stuff because I've been told to on Instagram haha!! I have a few of the Juicy Shakers. They are awesome. I'm with you on the Charlotte Tilbury lipsticks. They are beautiful. They're so beautiful that throwing them in my handbag feels almost wrong, they should be on display!